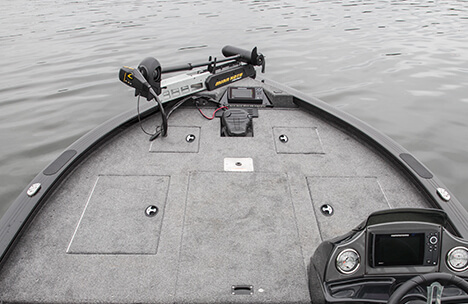 The 1850 Bass Hawk is a simple solve for your “deep-v or bass boat?” debate. 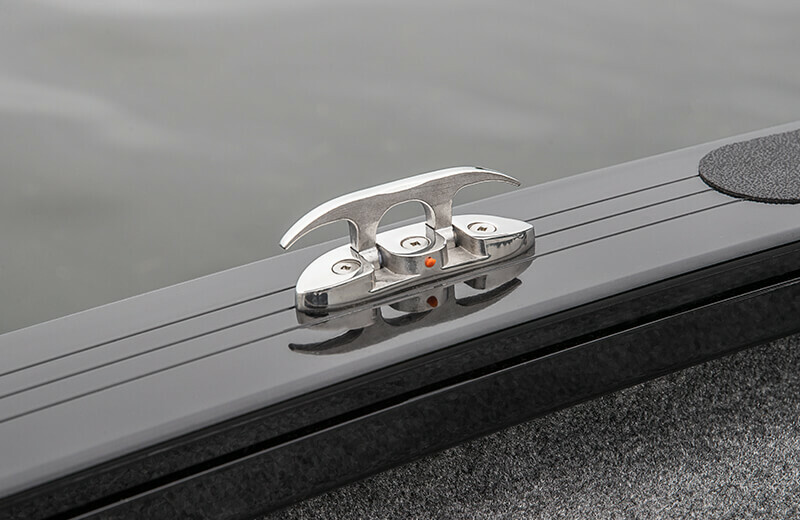 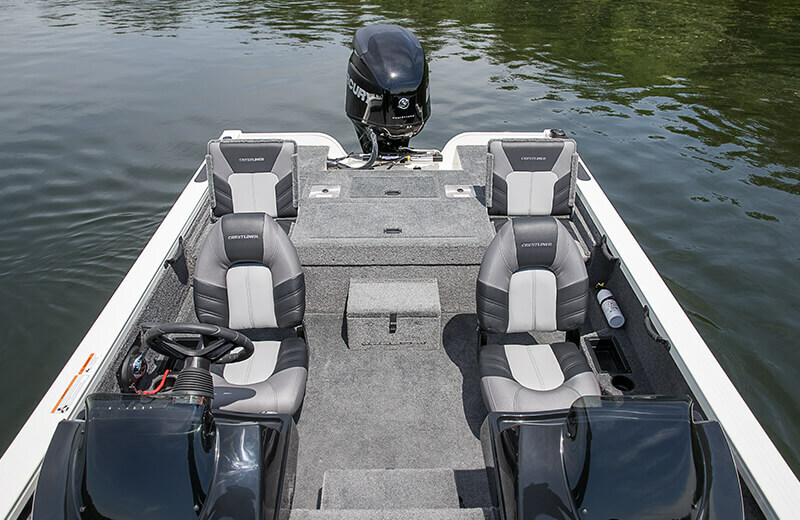 Inspired by the Fish Hawk’s established hull design and the PT’s spacious, raised casting decks forward and aft, this deep-v bottom aluminum boat combines the best of both worlds. 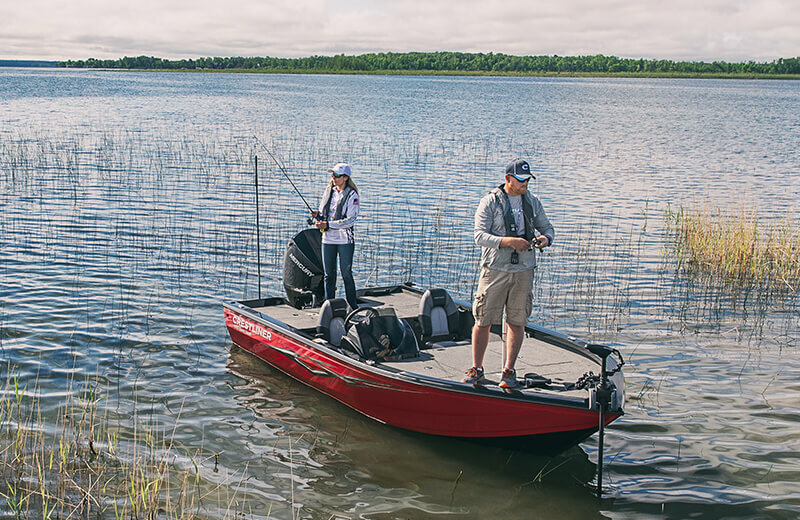 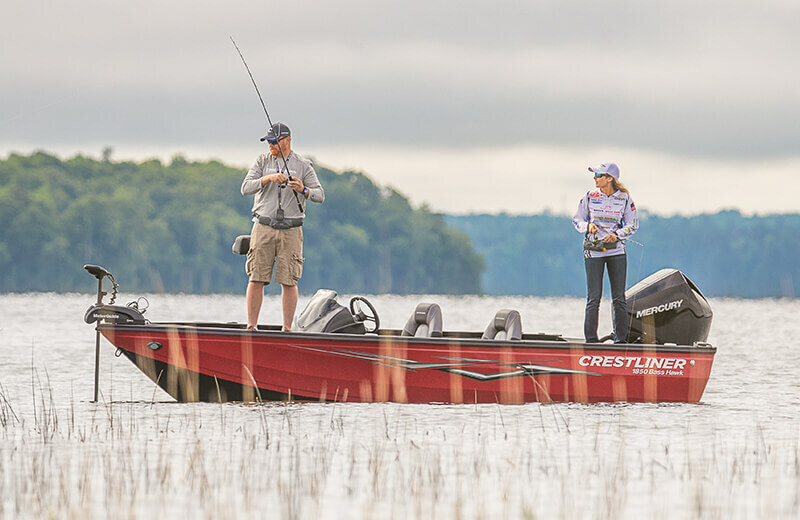 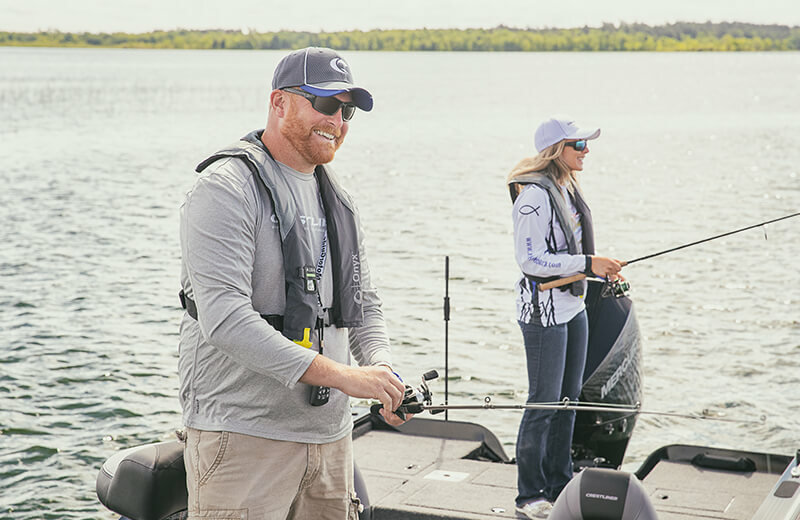 The variable deadrise hull makes it easy to cut through wakes, take on rough water, and is still able to get you closer to bass, walleye, and musky in shallow waters. 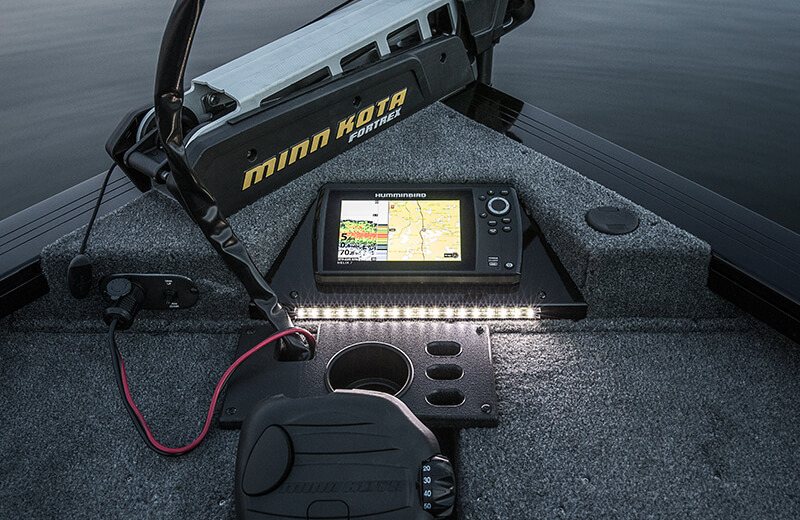 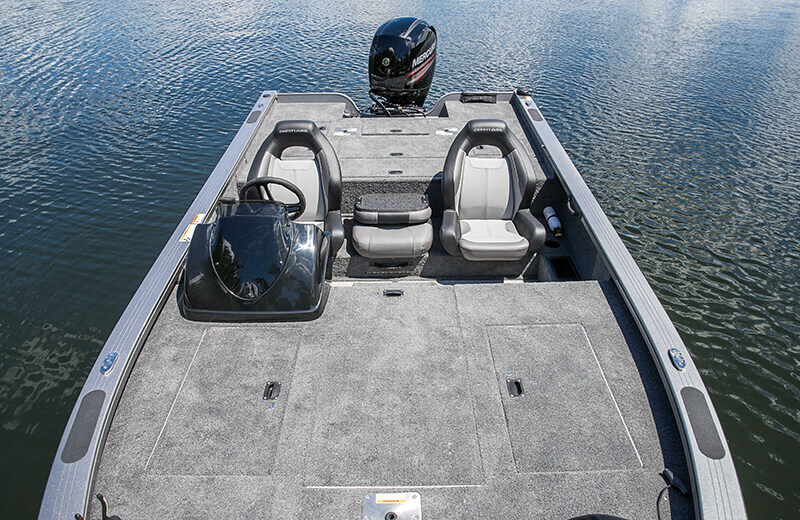 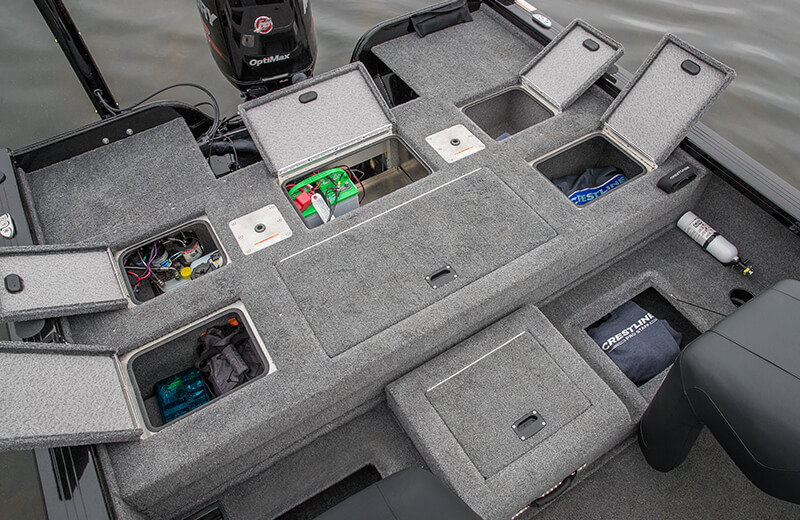 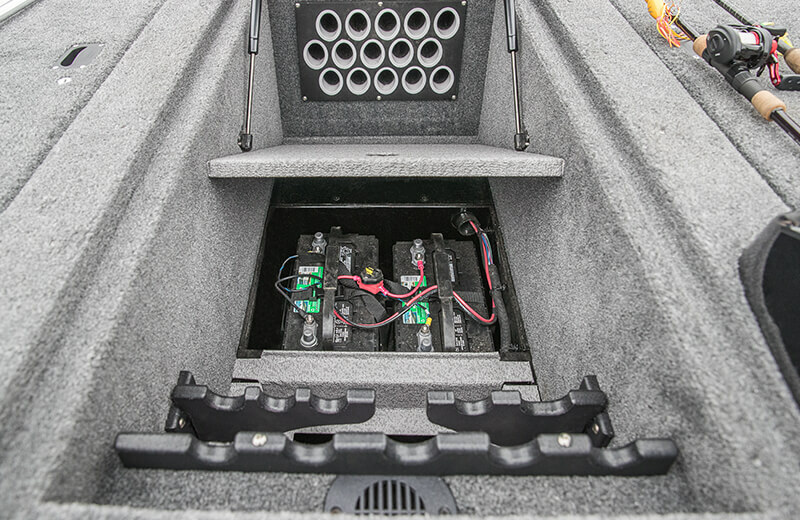 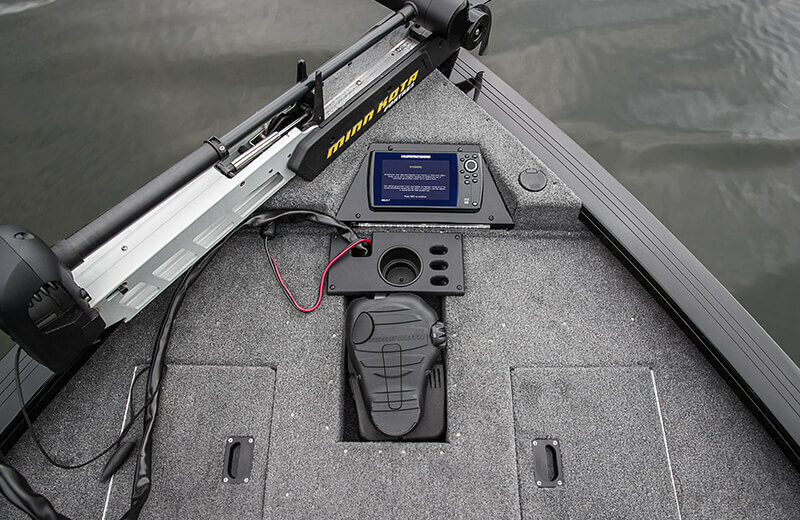 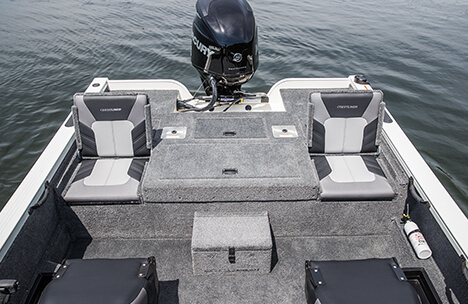 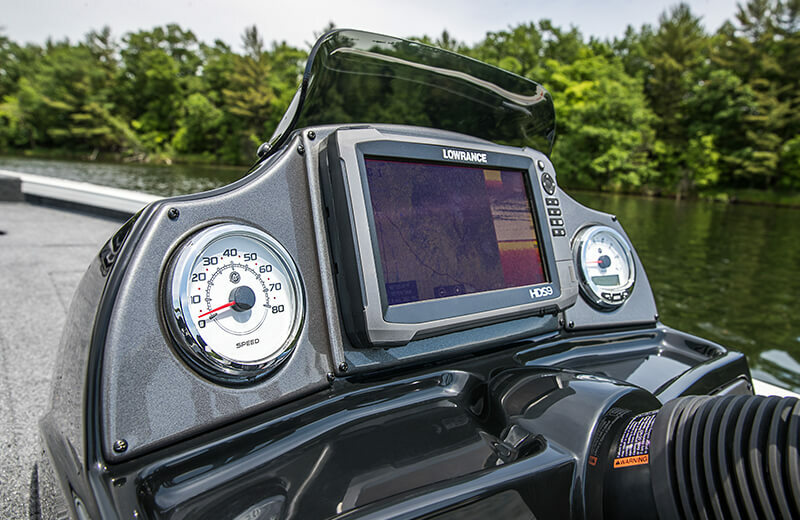 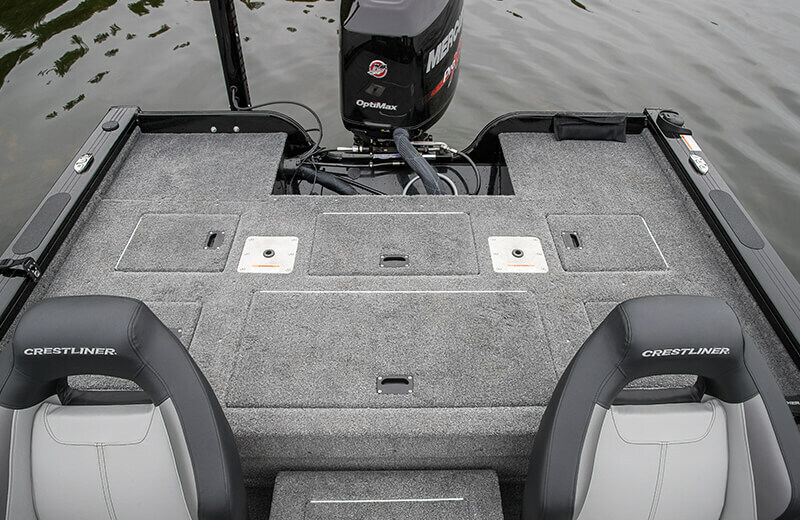 Massive casting deck features large storage, a 15 tube illuminated center rod locker and recessed trolling motor foot control. 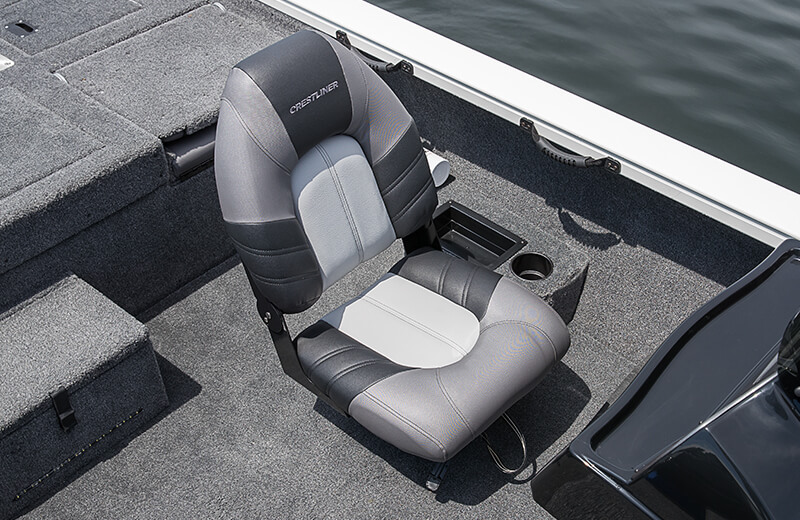 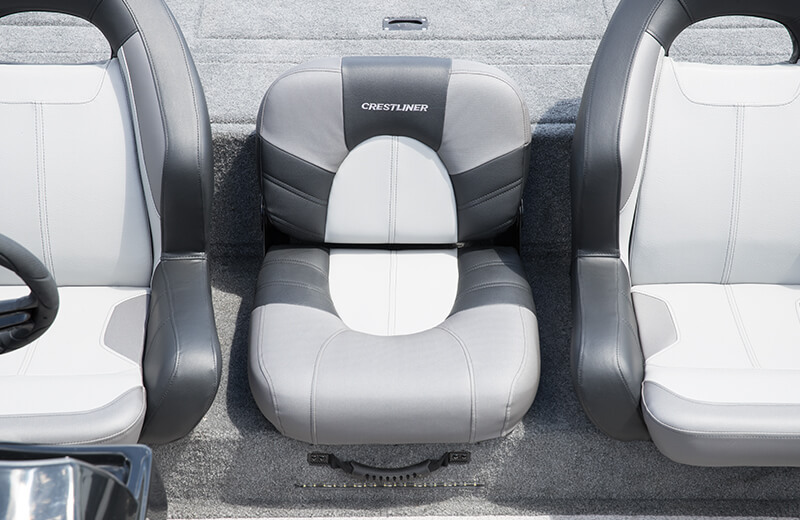 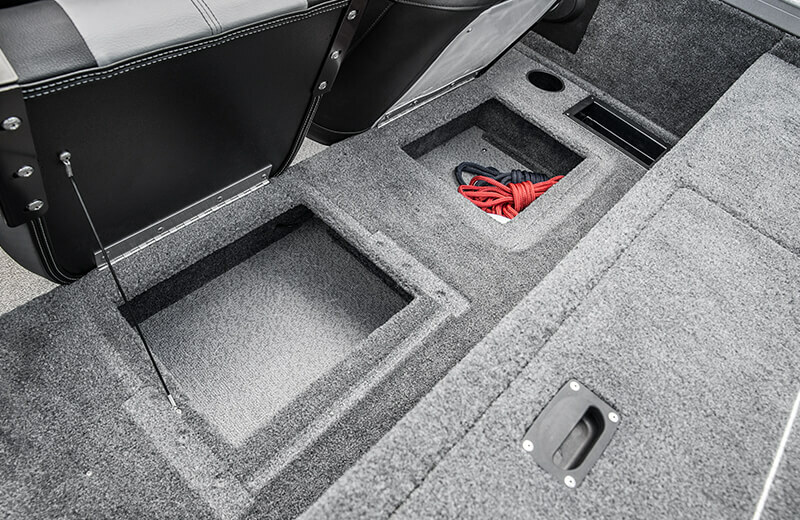 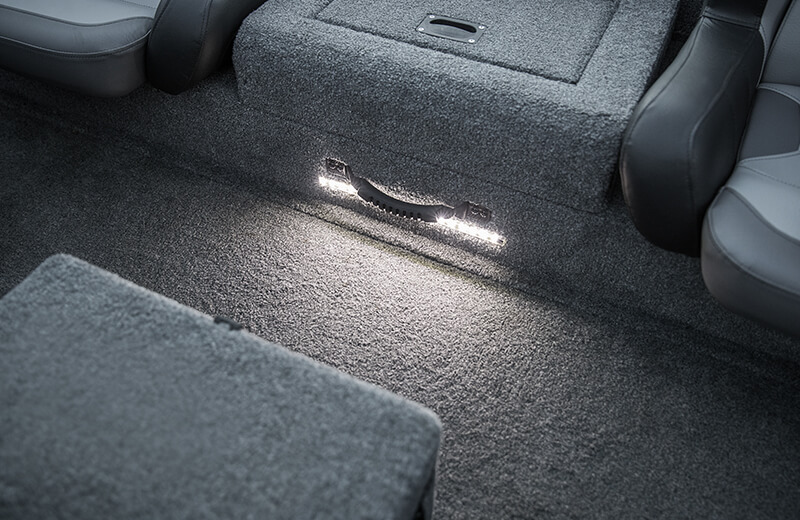 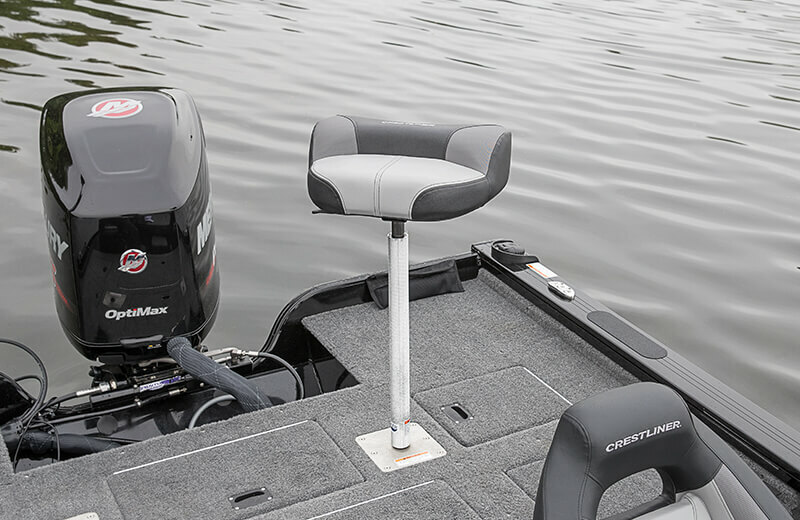 Scan the lake with a higher view with the pedestal seating configuration. 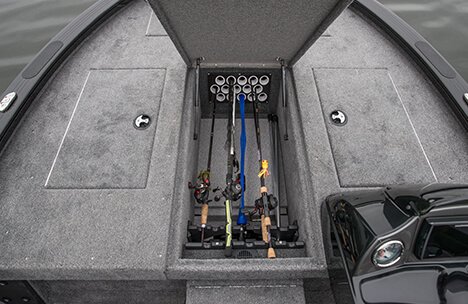 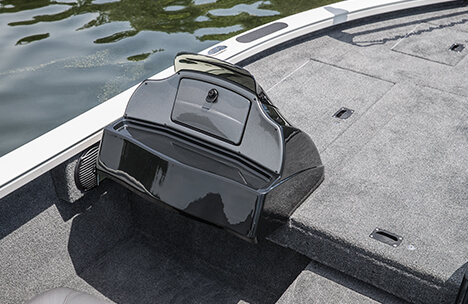 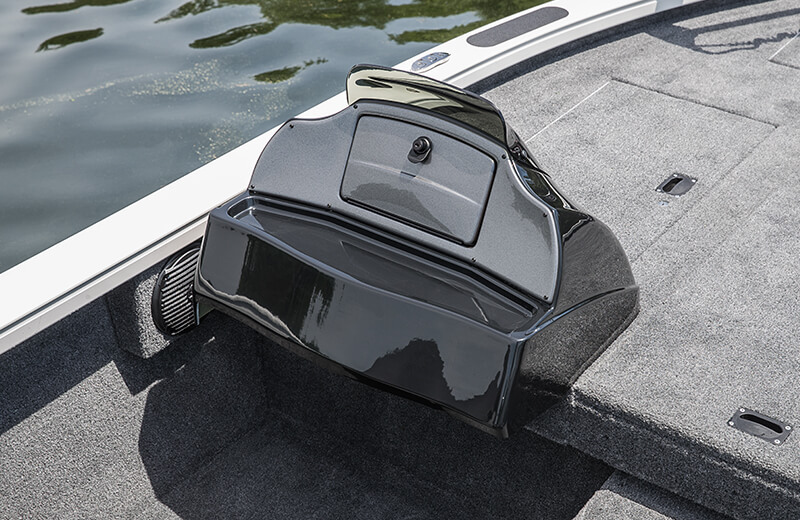 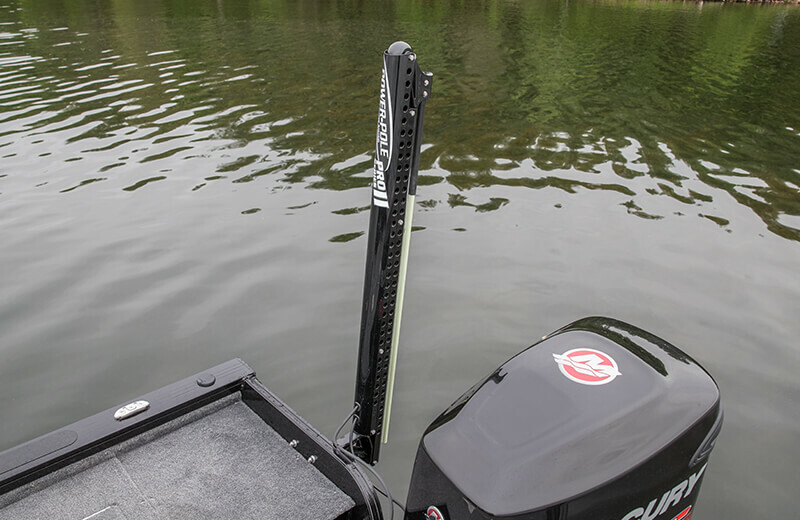 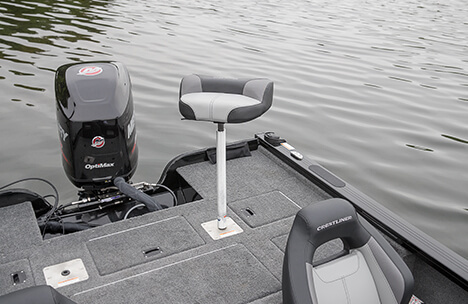 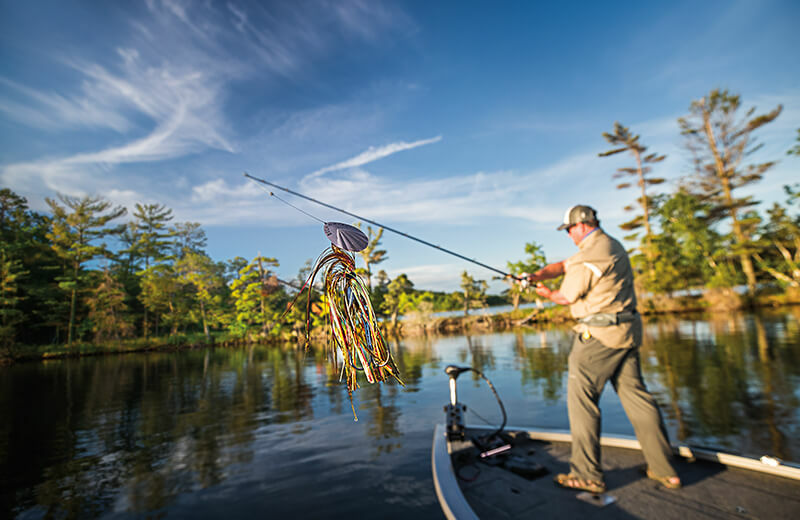 A center bow lockable and lighted rod locker offers 15 tubes that hold five 8' rods, five 7'6" rods and five 7' rods. 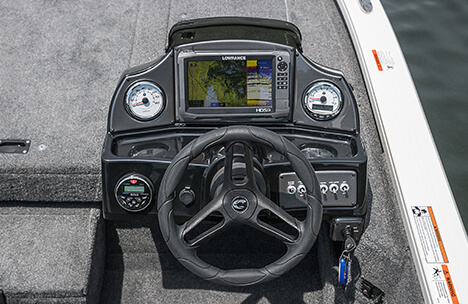 Premium console features detailed instrument panel with multi-function black sterling gauges, rotary switch panel, 12V power outlet, space for 9'' electronics and a windscreen. 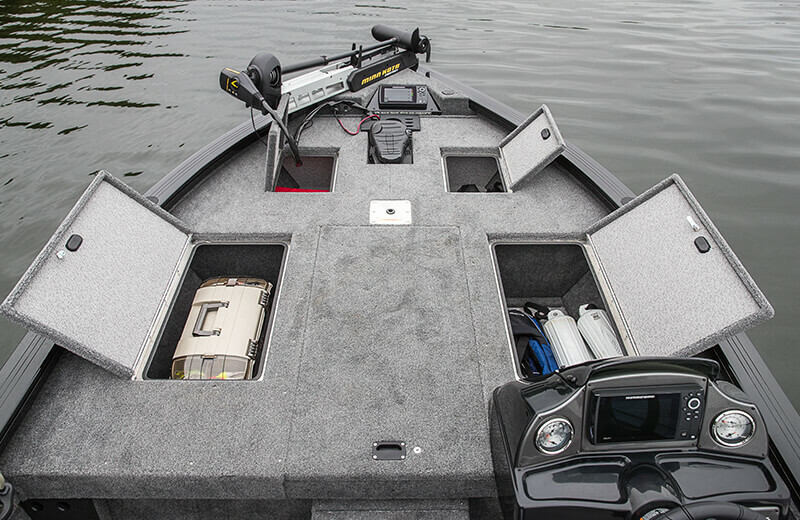 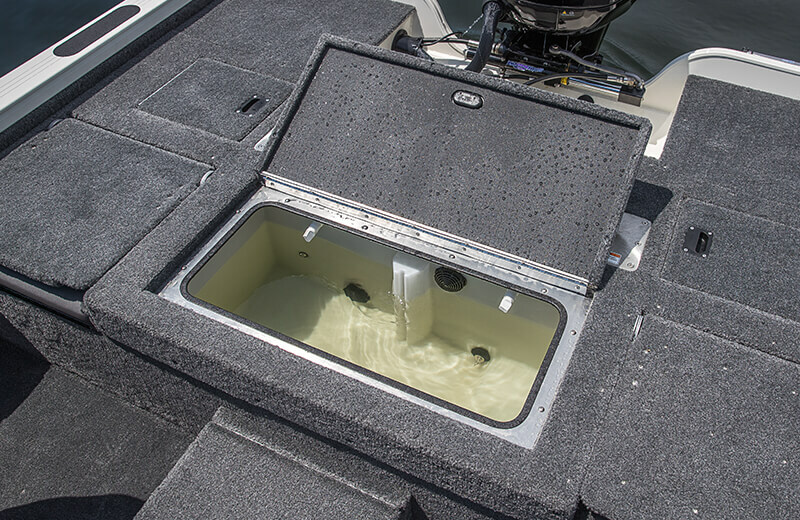 The large stern deck is perfect for casting and features multiple storage compartments and a 28 gallon aerated livewell. 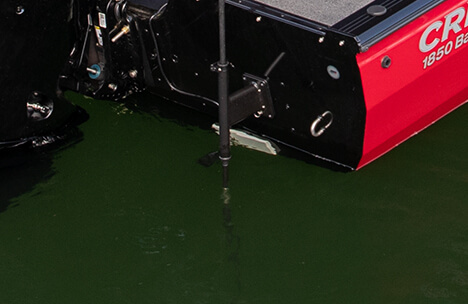 Quickly anchor up in shallow water without heavy anchors and wet, cumbersome ropes. 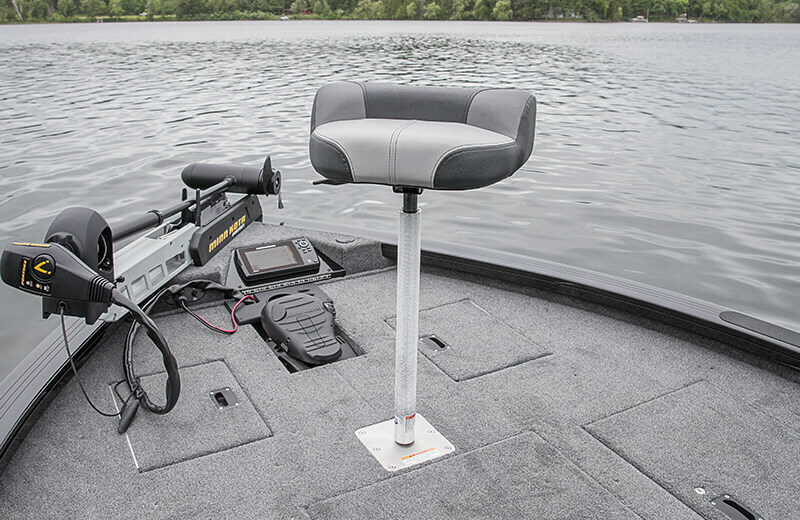 This optional convenient anchor system is easy to use and requires no power or wires. 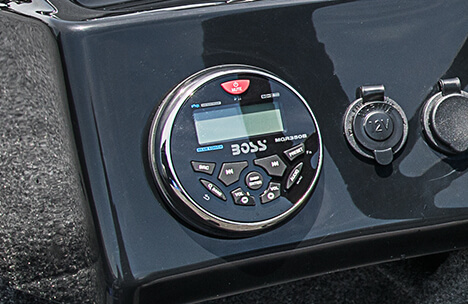 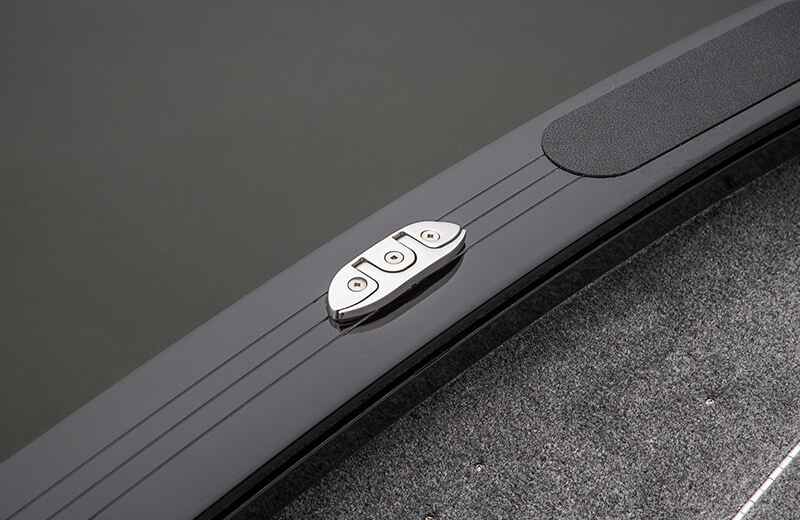 An optional 2-speaker Boss AM/FM stereo features a USB charging port and bluetooth capability. 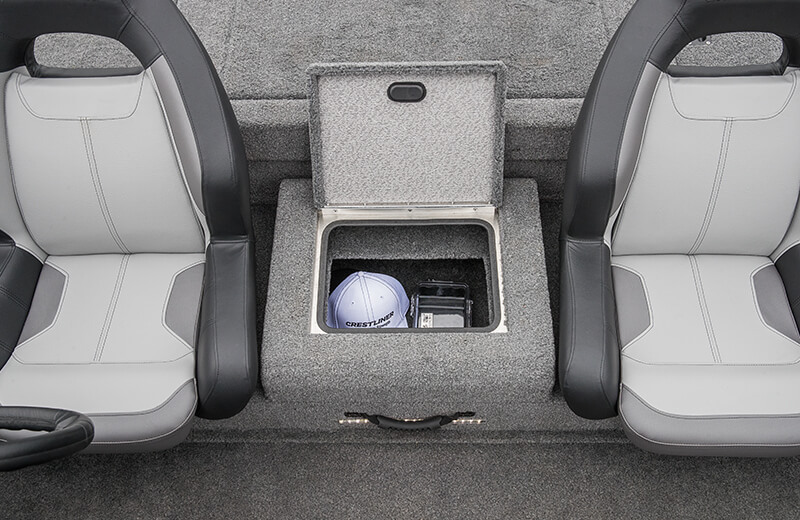 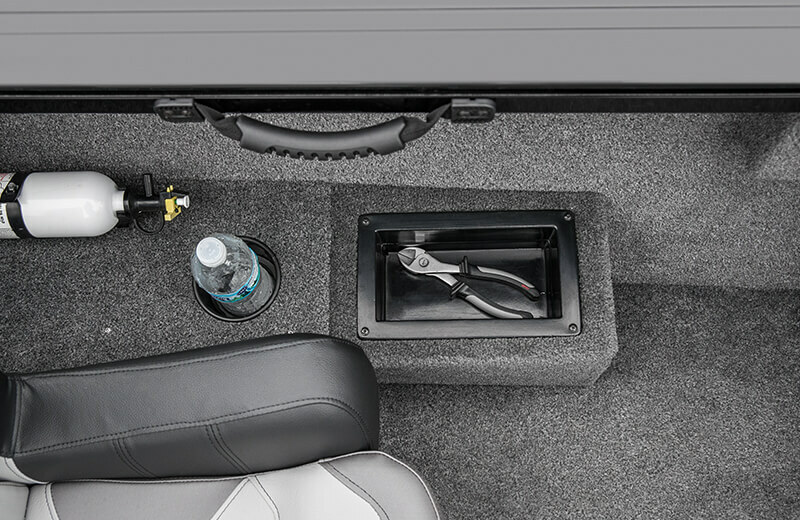 Lockable glove box with visor and windscreen. 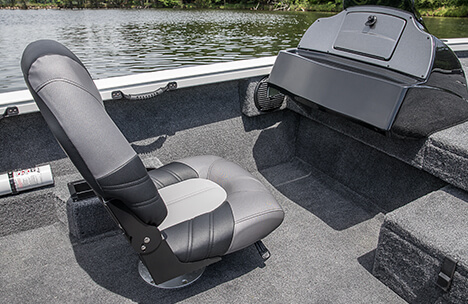 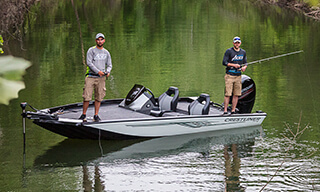 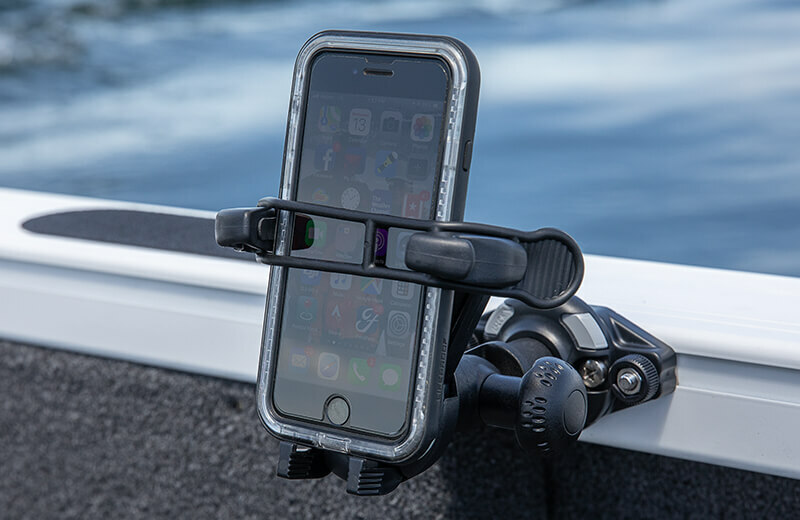 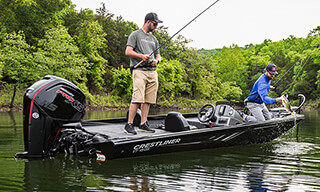 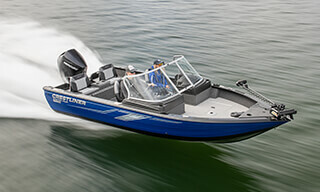 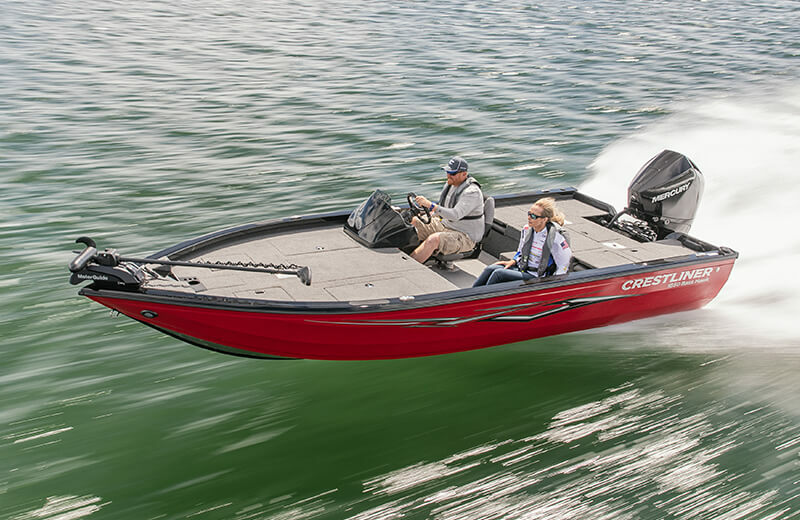 Add comfort and maneuverability while fishing from the bow or stern. 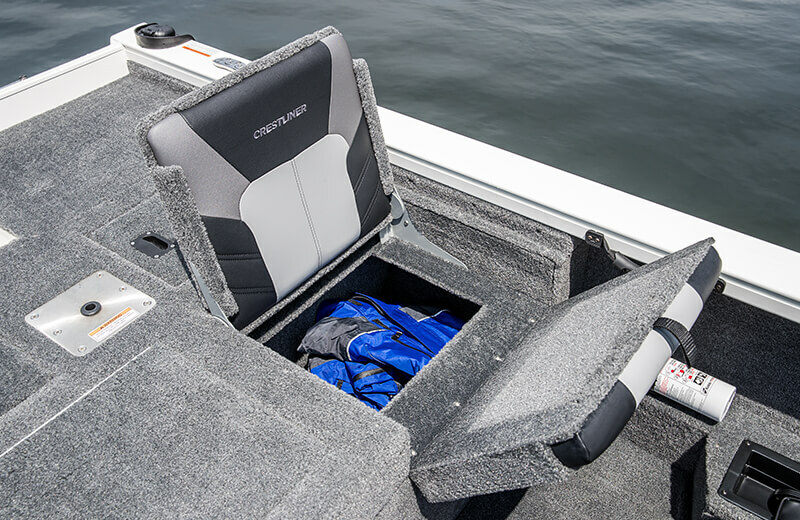 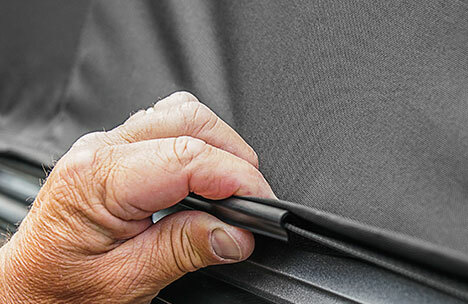 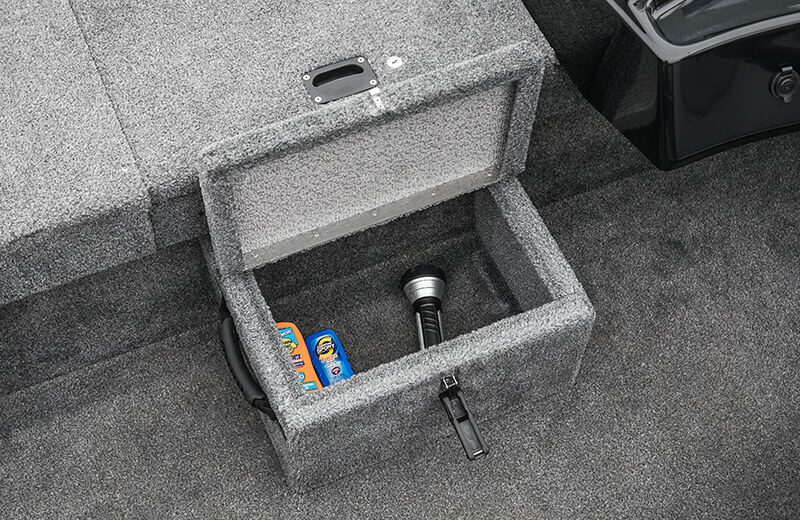 Keep your boat in prime condition with the optional custom travel cover. 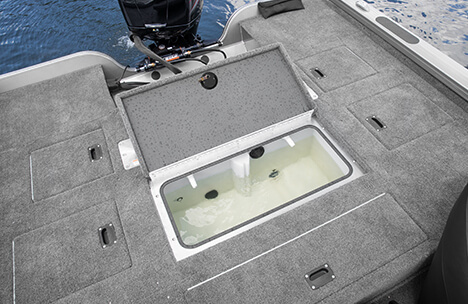 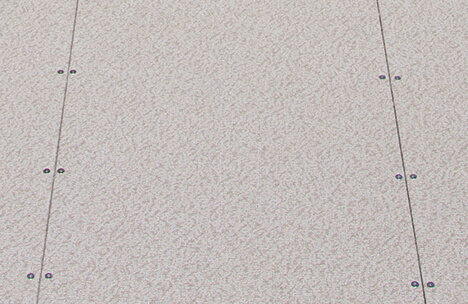 Quickly wash away a day of fishing with optional vinyl flooring.